Hello, my name is Courtney and I’m about to tell you all about my experience with Hannah. So, first things first... SHE WAS AMAZING! We never really had couples photos done so we weren’t sure exactly what to expect. And we were so terrified that we were going to look good in our pictures because we aren’t “models”. But ya wanna know what???? 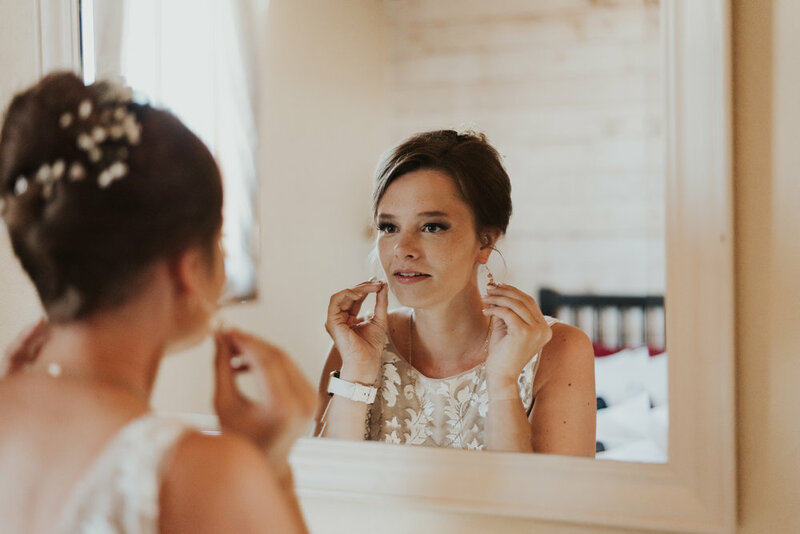 She made me feel absolutely STUNNING and she made me realize just how much photos are about the feelings and the people captured in them rather than about the looks or the “social media appeal”. Don’t get me wrong, I love sharing our photos with the world on social media but they mean more to me than that. They make me realize that my boyfriend looks at me with the same amount of love in his eyes as I do when I look at him. They make me realize that it’s okay not to be the worlds definition of beautiful because honestly, who even knows what that is anymore. Next... She captured our love so beautifully and perfectly. I will forever cherish the pictures she took and the moments she shared with us in the couple hours we spent together. She is pure talent and her photos show it. Lastly... Hannah is a sweet sweet soul that is a pure and honest joy to be around. Not only did she make it a wonderful experience and bless us with some incredible photos... we gained a friend. And we couldn’t be more thankful. Hannah is by far the most outstanding photographer I have ever encountered. It is unnecessary to rave about her photography skill because her finished products speak for themselves. Every shot taken by Hannah is so much more than a cookie cutter, posed, picture. Hannah captures the feelings and every single precious moment tied to that place and time. I looked at many photographers before finding Hannah and I can say with confidence that her skill and her style was unrivaled by any other photographers that I saw. Not only does she produce quality work, she is a joy to work with! When Michael and I took our engagement photos with her it did not feel like an awkward photo shoot, it literally just felt like hanging out! None of it felt forced at all. She was so encouraging and made it so easy to relax. She put on music and we just hiked around while she took pictures. 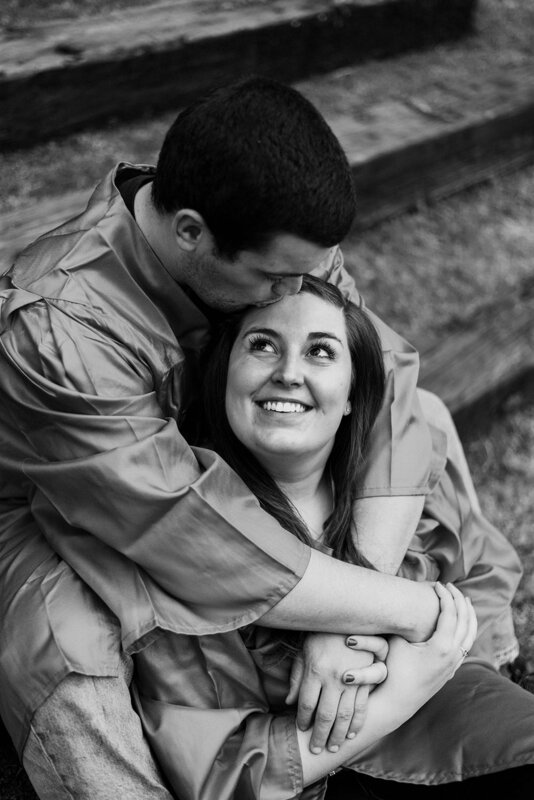 Her philosophy can be summed up in something she said to me during our engagement photo shoot. She said, “Just be yourselves. Hang out, don’t be afraid to hold hands and smooch! I am a professional third-wheeler.” We had such a blast! I sent her ideas of photos I wanted and she took note of them and made sure we did all of them! On the wedding day she had such a positive and professional attitude. All of my guests and family were raving about how kind and yet efficient Hannah was. They were even more blown away by the photos she took when I showed them. Hannah was also incredible at editing our photos! On the day of the wedding the train of my dress got filthy but looking at my wedding photos you would never know that because she edited all of that out. Hannah got my edited photos back to me exceptionally fast. I simply cannot say enough great things about Hannah and her photography ability, I truly could go on about how great our experience was with her. I would (and definitely do) recommend Hannah Brooke Photography to everyone and anyone, you will not be disappointed. We had the opportunity to shoot with Hannah and I am SO grateful to the instagram universe for bringing her into our lives! 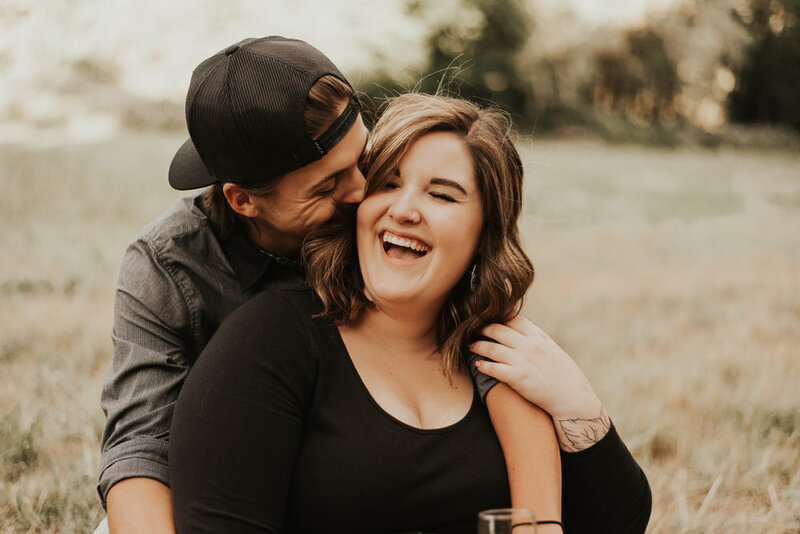 She did our family maternity session and not only did she deliver the most amazing photos to us, but she made it feel like we were being photographed by an old friend, not a complete stranger. She was somehow able to wrangle our toddler with one arm while shooting with the other, and didn’t let anything get in her way of delivering the most beautiful gallery to us. 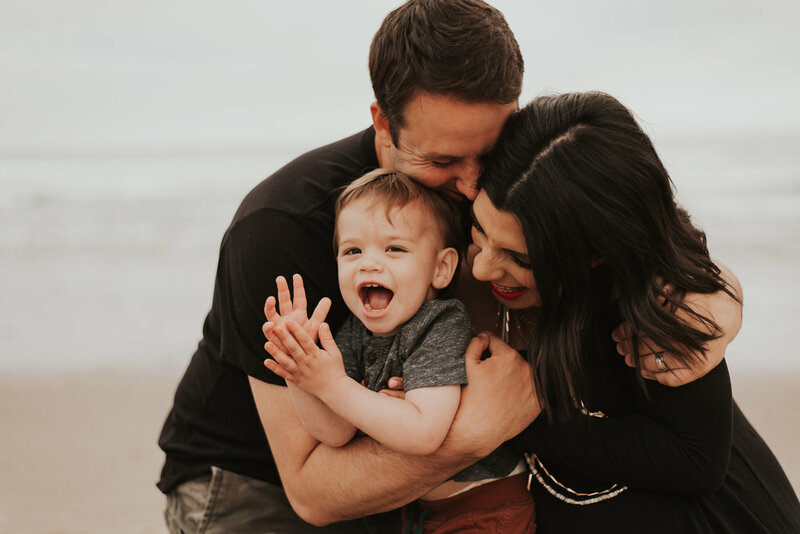 I am so thankful to have images that perfectly captured the love and silliness between our tiny family. On top of her insane artistic ability, she was also punctual, professional, and an absolute breeze to work with. Basically you’re crazy if you haven’t booked a session with her yet! Okay guys, it’s shout out time! Hannah Brooke Photography not only captured every single moment we could have asked for, got us sneak peek photos the night of so we could share our special day with everyone that couldn’t be there, and got us our full set of wedding photos in less than a month, but she has also gone above and beyond with getting us our prints! Look at this adorable customized box she sent us with our prints and thumb drive inside. We cannot even begin to explain how thankful we are to have had such an amazing photographer! Thank you Hannah, you truly helped make our special day that much more special. I have only good things to say about you! I love how welcoming to my ideas and thoughts that you were, and how willing you were to donate extra time to come early and stay late. You made me feel comfortable and cared for, and the process felt natural and candid. I really enjoyed how you guided Zoey and I in poses, but how you balanced that time by letting us show you our ideas. You were extremely flexible with us, and we both could tell that you took coming into our home, which is such a sacred space for us, with the utmost respect. Thank you for being our photographer! I’m super thankful for the girl who captured all of these special memories for us, Hannah!! We ADORE her and literally can not even wait to have her take more photos of us in the future for the rest of our lives! We drove all the way to the Painted Hills to capture our love story and make a new adventure out of it! 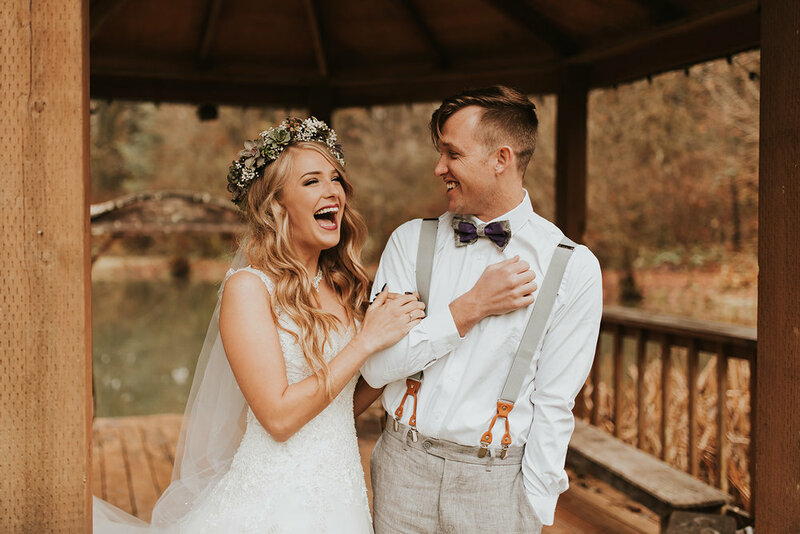 I am SO obsessed with every singe one of our sneak peeks! It’s hard to even comprehend that these aren’t even all the photos!! I’ll probably cry all over again when we see the full gallery! And that’s exactly what photography is all about. If you need a photographer who you’ll decided to keep as your friend forever like I did, Hannah is your girl!! She is the most amazing photographer! She captured every emotion of our wedding and knew exactly which pics to take to make our most wonderful day even more memorable. Thanks again Hannah for the amazing pics and great friendship we gained!! Hannah is absolutely amazing! 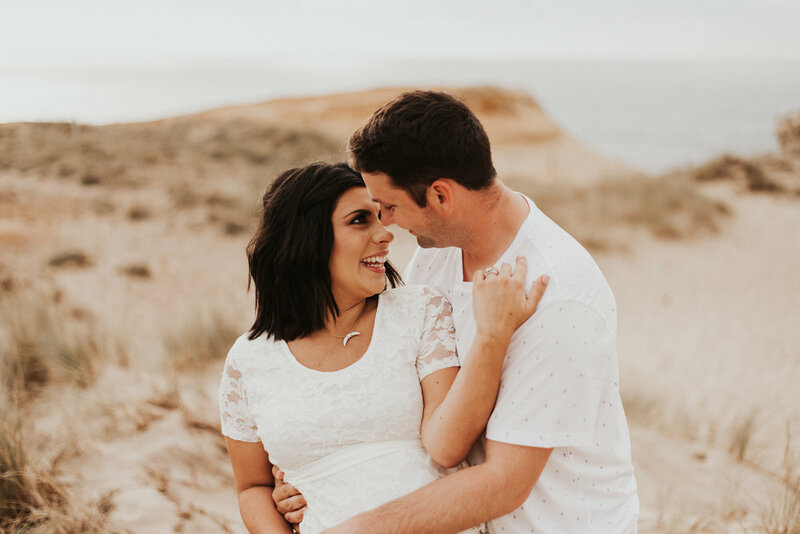 My husband and I don’t feel like we are very photogenic and she made us feel at ease and made it super easy! We’ve only received our sneak peek but they turned out better than I could have expected!!!!! Thank you Hannah for capturing this moment in our life. My girlfriend Kylie and I wanted to do some photos for a pre-graduation shoot and we knew Hannah through school so we inquired about it. She was very fun, energetic, and positive (Not to mention she knew a ton about photography). She had us in many unique poses and had many creative ideas that I would have never thought of. There was never a dull moment, and if I need photos taken again I will definitely call Hannah!